Which Band Made More Money From Guitar Hero Than Any Of Their Albums? The Largest Nuclear Reactor Not Located On A Body Of Water Is Found In? Aerosmith, an American rock band founded in 1970 and still going strong, has 11 platinum and 3 gold records to their name. The majority of their albums were even certified multi-platinum–popular releases like 1975’s Toys in the Attic and 1993’s Get a Grip sold over 7 million copies each. Given their global popularity and total album sales exceeding 45 million records, it’s quite surprising to learn that Aerosmith’s greatest commercial success came from a video game appearance almost 40 years after the band’s inception. [Their] version of Guitar Hero generated far more in revenues than any Aerosmith album ever has…. Merchandising, concert sales, their ability to sign a new contract [have] all been unbelievably influenced by their participation in Guitar Hero. The game sold over 3.6 million copies in the first two years and is the best selling game in the band-centric gaming genre. 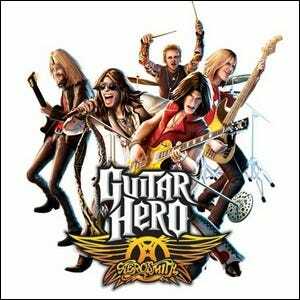 After the release of Guitar Hero: Aerosmith the band reported a 40% increase in album sales across both their old and new albums. While many bands have been slow to embrace new technology, clearly the risk of front-lining a video game paid off for Aerosmith.